Celebrate your 2-year-old daughter’s birthday with a theme and activities that she enjoys. Your little girl won’t likely remember this celebration, although she should be able to enjoy her second birthday party much more than she did her first. Incorporate some of her favorite things into the party to make it a special day for her. First birthday parties are all about the parents celebrating their baby’s milestone birthday with friends and family. Decorate the party area in a way that conveys the importance of this event in your life. The decorations will live forever through the pictures and videos you take during the big day. When your child turns 5-years-old, it is an exciting time for both a child and her parents. This is the age when most children begin school and learn to read and write. Suddenly, the child who was once a toddler is a big kid, with big kid abilities and responsibilities. Celebrate your child’s entrance into the big kid world by throwing her a birthday bash she will always remember. A birthday party for your 6-year-old child may be his biggest yet. Since he’s probably started school and will have made some friends, plan a party big enough to accommodate a classroom full of guests. Keep the party going by planning plenty of games and activities that kindergartners or first-graders can handle. A girl’s 11th birthday is cause for celebration. However, you need to put away those Cookie Monster decorations, unless your tween appreciates irony. Make the event memorable with a tween-friendly theme that shows your little girl is not such a little girl anymore. Remember that 11-year-old girls still love all the birthday party trappings, from decorations and snacks, to party games and cake. When a child turns 11, she will want to have a party that includes a lot of fun without seeming too childish. When planning a birthday party for an 11-year-old, it is important to remember that she is still a child but is in those tween years. Making it an event that her friends will talk about long after it is over can be the greatest gift of all. While the purpose of a birthday party is to celebrate the honoree’s special day, events of this nature are not nearly as enjoyable if the celebration doesn’t also include an assortment of engaging games. Birthday games give party guests the opportunity to test their skills and show their abilities to their peers. 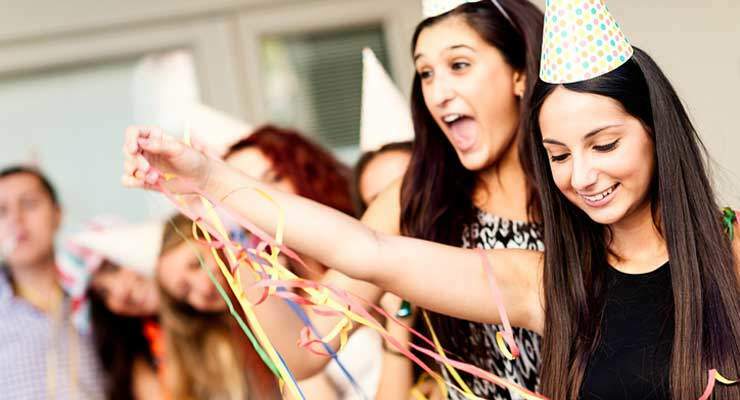 Whether planning tried-and-true games, or going with a less common option, adding games to your next birthday event can lead to even more party-time fun and laughter. Planning your 3-year-old’s birthday party is going to be a bit different than the first or second, because your toddler can likely grasp the concept of her birthday now. Use something that your child enjoys or loves as the theme or inspiration for her party to ensure she has a memorable birthday experience.